ENHANCED VOCALS - Whether you’re performing with MCs, singers or guest speakers, 3 people can entertain the crowd at the same time via the 3 Mic inputs. Ensure crystal-clear speech with 3-band EQ, low-cut filter, compressor and reverb control on each. Enhance vocals with Sound Colour FX and Serato DJ Pro FX. 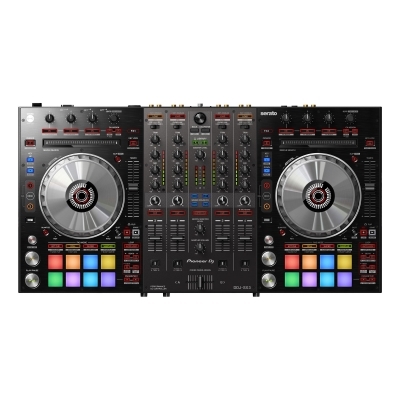 DUAL USB PORTS - Connect 2 computers at the same time for seamless DJ transitions, back-to-back performances or as a backup computer in case your laptop crashes. 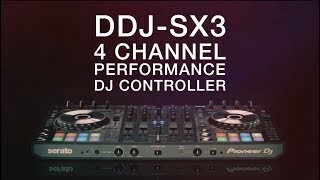 PROFESSIONAL INTERFACE - With a layout inherited from our flagship Serato controllers, the DDJ-SX3 feels familiar to use. 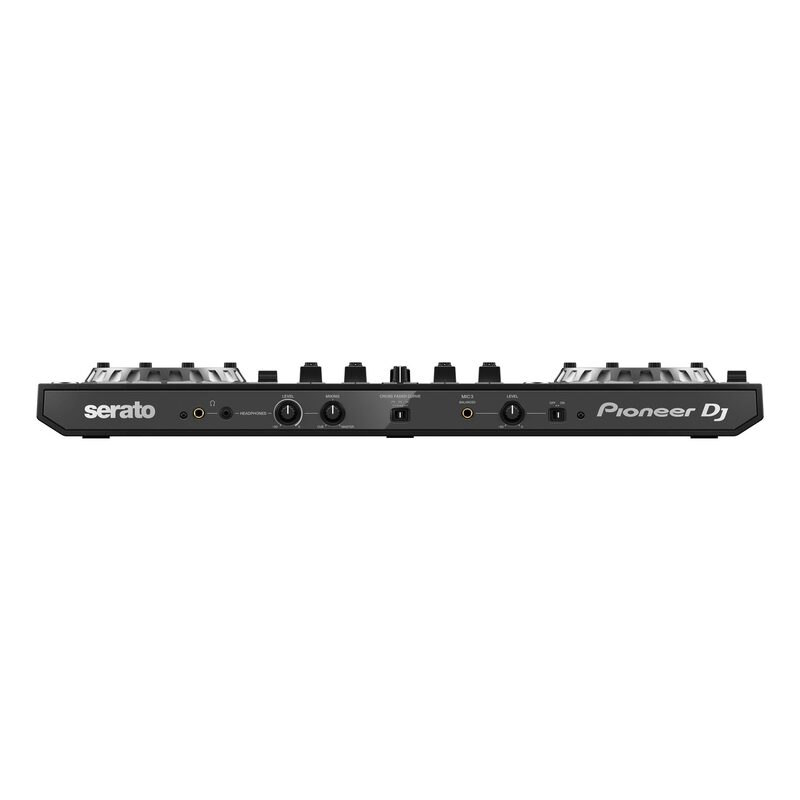 Featuring 4 inputs, connect to CDJs, analogue turntables and use as a stand-alone DJ mixer. Plug in various speakers via the XLR and RCA Master Out and TRS jack Booth Out terminal. 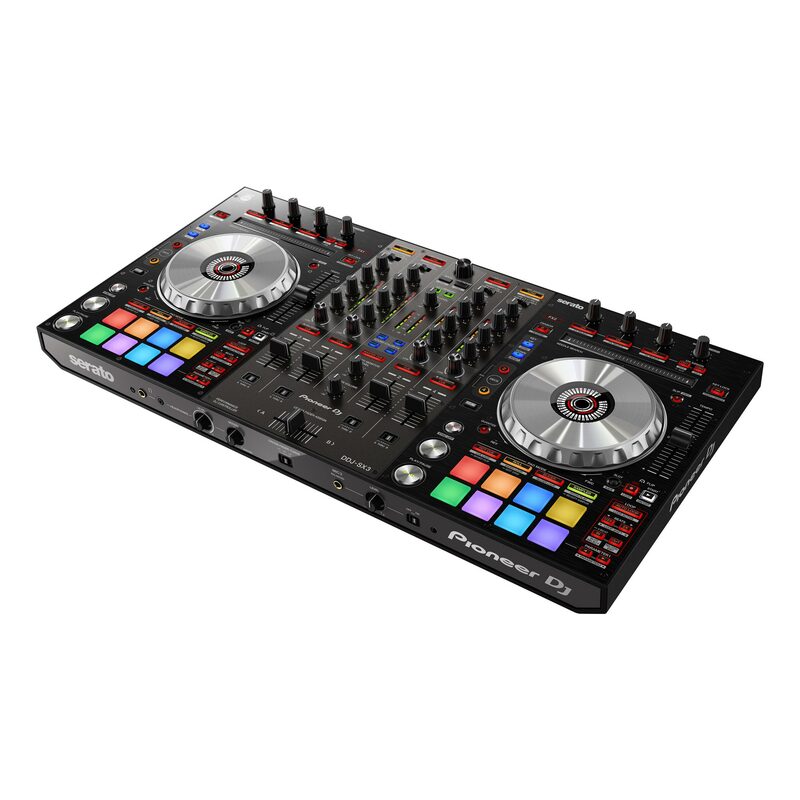 PERFORMANCE PADS - Use the large multicoloured Performance Pads to instantly trigger 11 Serato DJ Pro features. Watch their colours and illumination change to show the selected pad mode and playing status. We’ve reduced the latency of the jog wheels for even smoother scratching than its predecessor. Optimised for a perfect scratch response, the illuminated cue point markers with cue countdown give you effortless control without needing to look at your laptop. EXPANSION PACKS ENABLED - Pitch ‘n Time DJ and Serato Flip Expansion Packs are included. Use advanced features like Key Shift, Key Sync, Flip, Pitch Play and more to mix tracks smoothly. Sound Colour - FX Add texture and unique sounds to your mixes using the popular Filter, Echo, Jet and Noise FX from the DJM series mixers. Needle search - Simply touch the pad to instantly jump to a specific section of a track.